Hello everyone! How was your Eid celebration? I'm sure you had a blessed one this year. Btw, we are still in the midst of school holidays. Been really busy outing with my Hubby and kiddos. Thank God, Hubby is home during school holidays this time...otherwise I would have been complaining to him via email...lol! 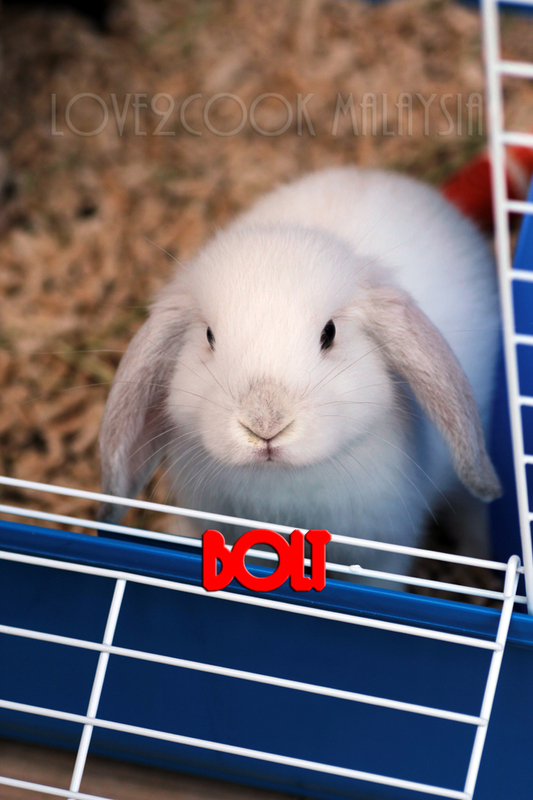 And now, I'd love to introduce a latest addition to our family...the little bunny BOLT! 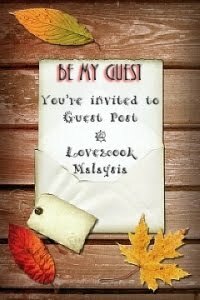 Welcoming him to Love2cook Malaysia's cyberhome with a great joy! aww... Bolt is just too cute! Auuww.....he is so cute and adorable. He looks damn cute, lovely name too. Greetings, I think your site could be having internet browser compatibility problems. fine but when opening in Internet Explorer, it's got some overlapping issues. I just wanted to give you a quick heads up! Other than that, fantastic website! So cute, his fluffy fur resembles my doggie's fur. Hi Love, wah.... so cutie cutie......nice click. Hi Love, miss you so muuuccchhh!! 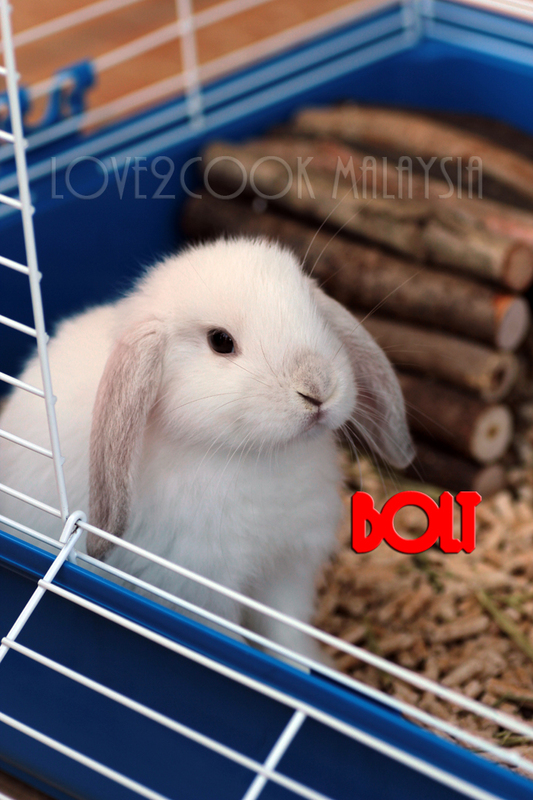 Waaaa ada pet baru pulak....ni kalau anak dara akak tengok bunny camni punya comel, mesti dia ngigau2 tau Love....so cute Bolt!! Bulunyaaaa cantiiikkk..! Bolt looks very cute. nice click.